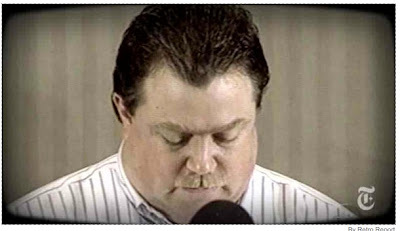 If you teach journalism ethics -- which should mean if you teach any kind of journalism at all -- you should hop on over to this N.Y. Times piece about Richard Jewell and the rush to judgment after the Atlanta Olympic bombings. In today's environment, I'd recommend it be a discussion point in every class. From the headline bin - huh? What are we giving up in the name of security?